ReVamp Your Home gets in touch with you first and then we know exactly how to create your style. Putting on the finishing touch is our specialty, and you may be surprised how quickly and easily your home comes together with your personal signature style with just a few added accents or accessories. Life's celebrations mean so much when they take place in the home! And, we know that having everything just right is very important to you. ReVamp your home can help with home layout to accommodate guest flow, food service presentation, floral decor and of course your special finishing touches. Let us help you transform your home as you create lasting memories. Call ReVamp Your Home today at 949.922.5357 to stage or restyle your Orange County home! ReVamp Your Home is the fast, fun affordable way to restyle your home using what you already have for a fresh new look. ReVamping is a great way to start any home decor project because it is safe and affordable, giving you time to make and feel good about all of your home decor decisions and plans. We have several packages available and we can customize any project. Let's get together and talk about how simple it would be to pull together. 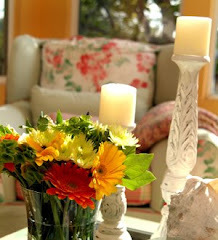 "Fall in love with where you live ~ ReVamp Your Home"